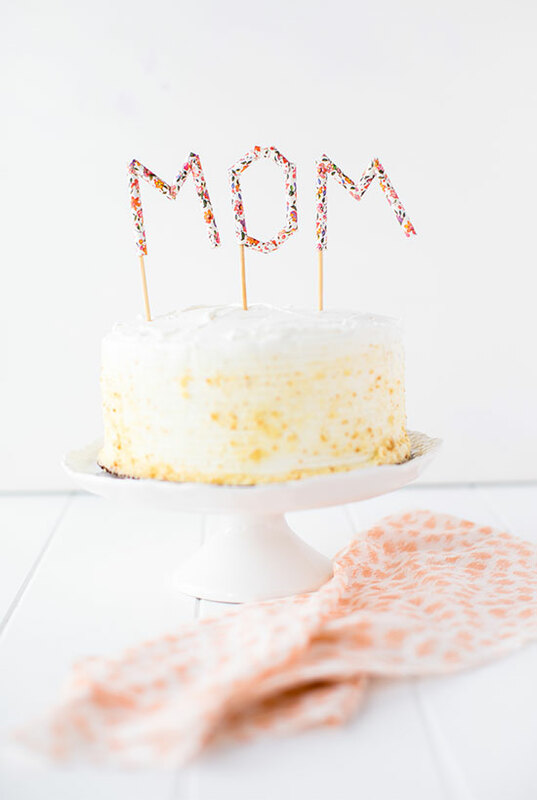 Make Mom a Mother’s Day cake (and cake topper) she’ll love, with this quick and easy tutorial: paper straw letter cake toppers. 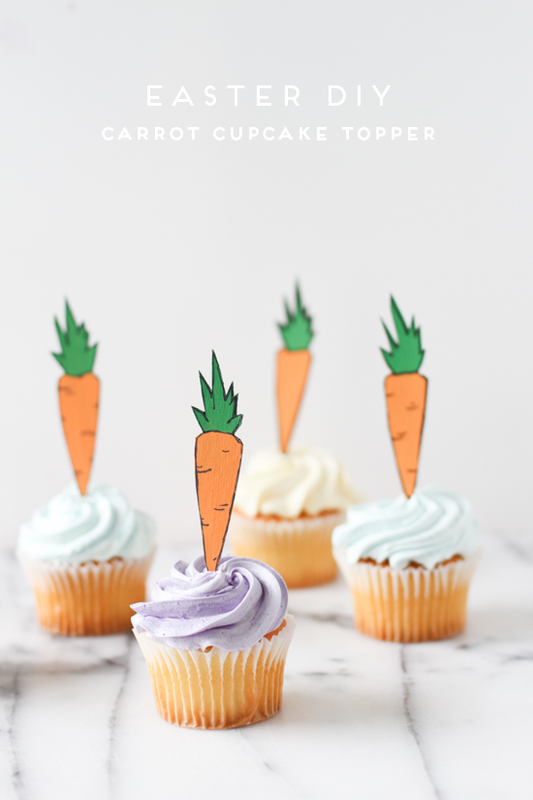 If you’re a long time reader, you may remember that I made letter cupcake toppers for One Charming Party almost a year ago. 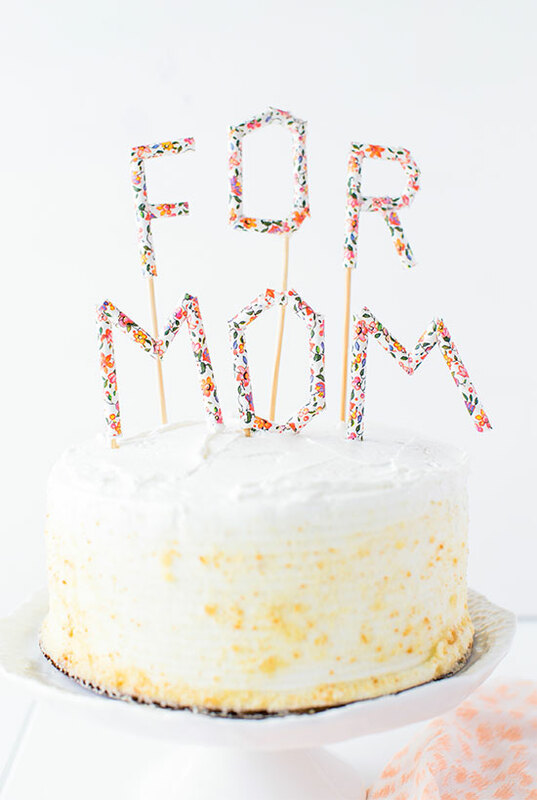 So, I thought it would be fun to recreate this idea with a more feminine feeling for Mother’s Day. 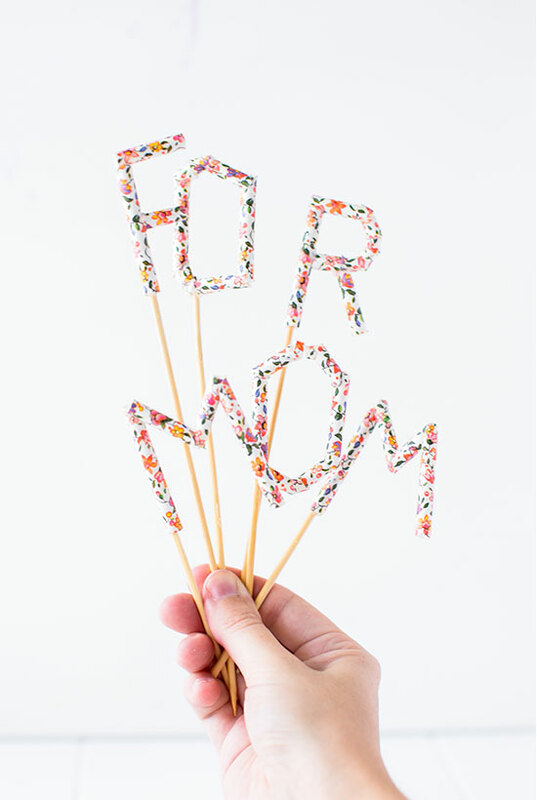 Plus, I just really love these floral print straws, that were left over from Meet/Make/Do. 1. 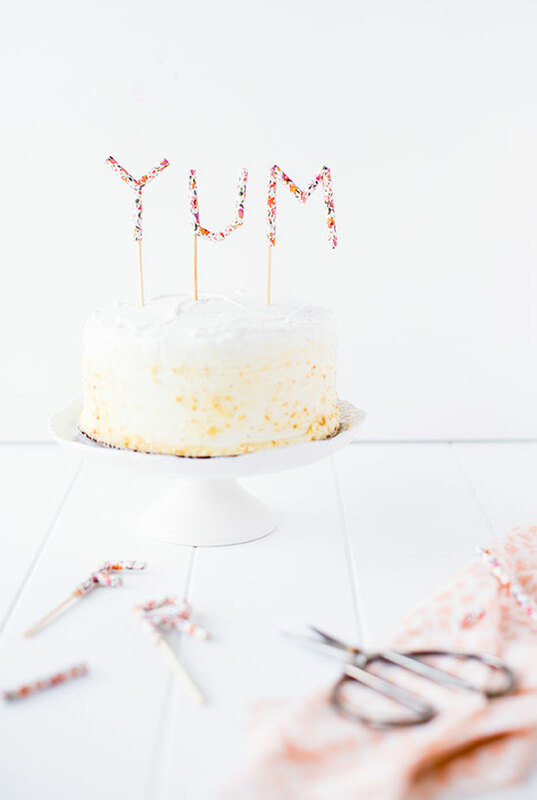 Find paper straws in an interest pattern, design, or color. 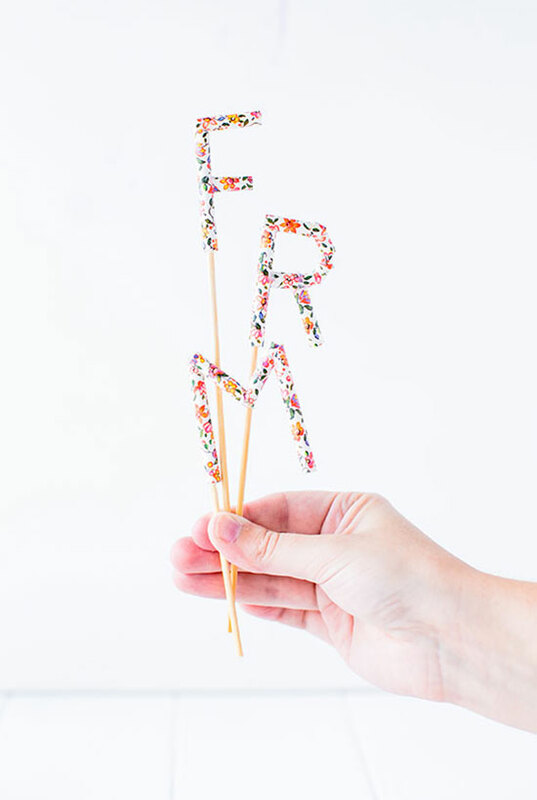 Cut straws to various lengths to loosely form different letters of the alphabet. You’ll probably have to experiment with this a little bit. 2. 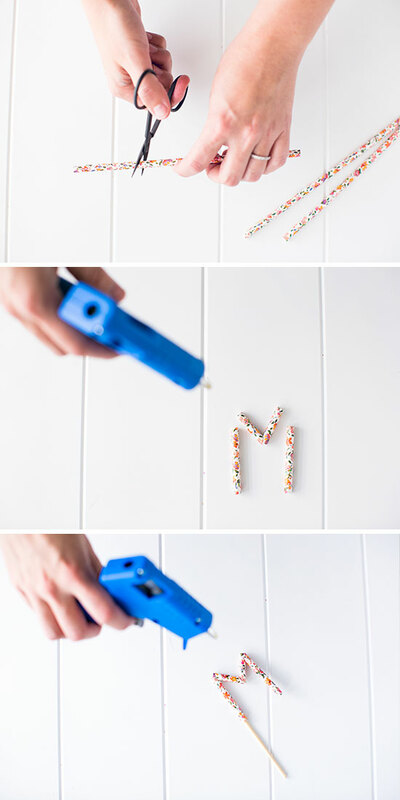 Next, glue the straw pieces together with a glue. 3. Once dry, insert a wood skewer into the bottom of one of the straw holes, and glue in place. 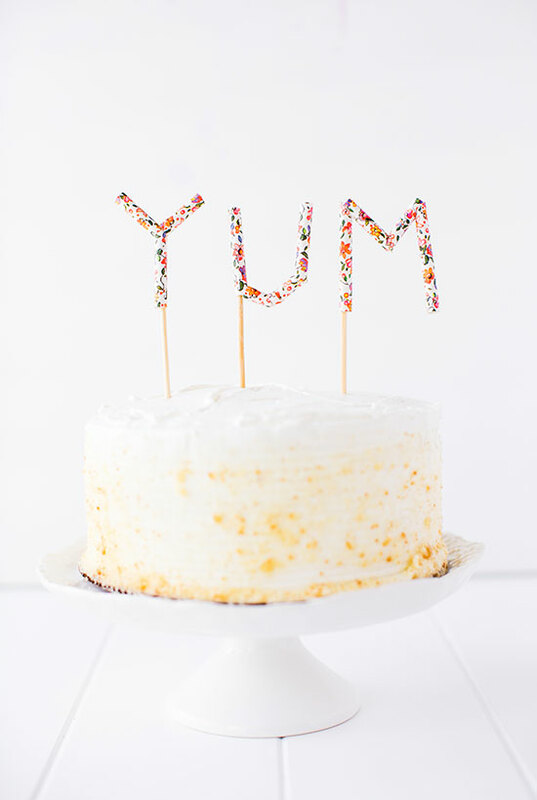 Wait for the glue to try, before poking each topper through a cake. Done! 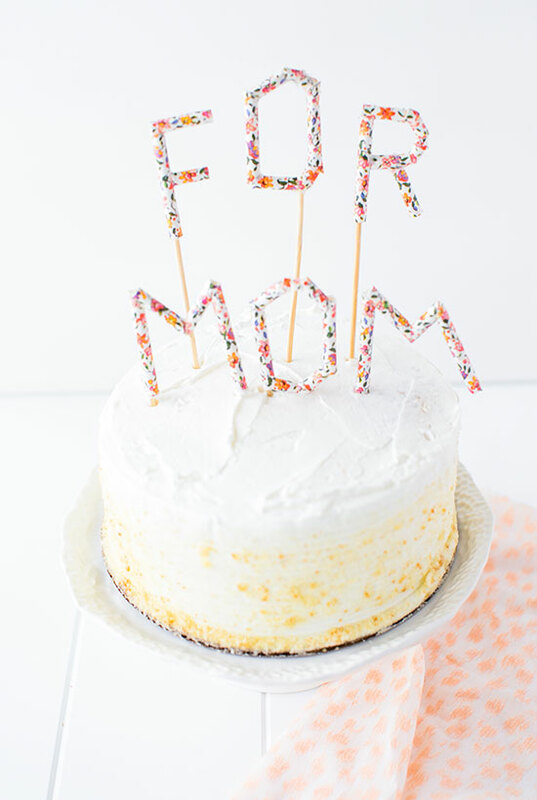 This message cake topper is really easy to make, which means you can whip this up last minute, if you don’t have much time to get a Mother’s Day gift this year. 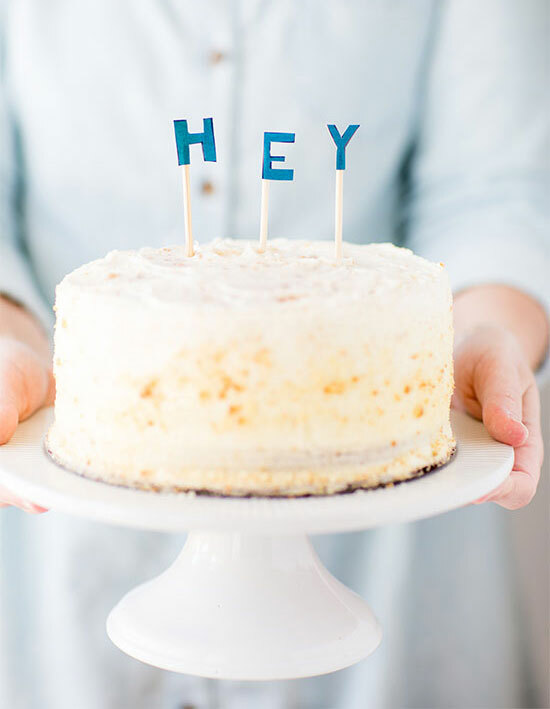 Or use it for birthdays, graduation, and other special occasions and parties. P.S. Happy Cinco de Mayo! You didn’t think I’d forget, did you? Thanks Kelly! Hope you’re having a very happy Cinco de Mayo! Adorable! Love the floral pattern on the straws too. I can’t get over how perfect that ‘R’ came out! Thanks Rachel! The letters with curves were the most difficult. But somehow the ‘R’ turned out okay. 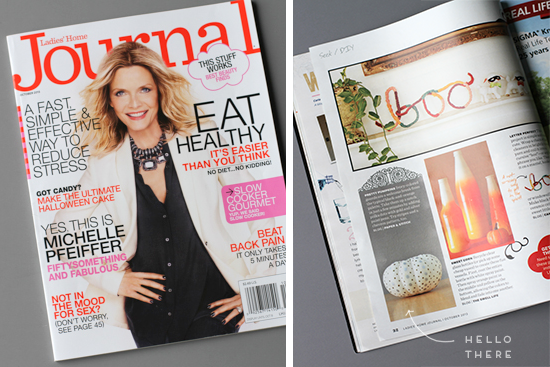 Not as happy with the ‘O’s, but hey – you win some, you lose some. 🙂 Thanks for stopping by. 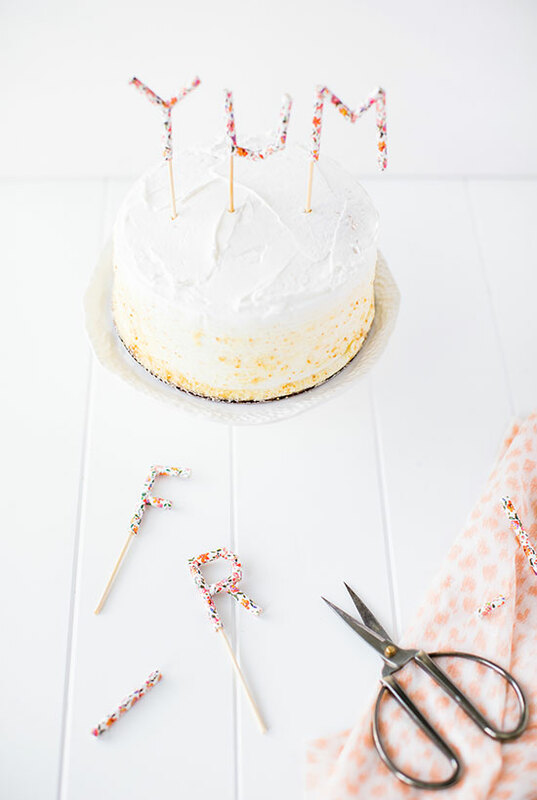 Those cupcake toppers were some of faves last year.. but these with the floral straws! Oh my goodness. Obsessed! Thanks Kel! The print on these straws is definitely my favorite. It’s good way to use paper straw.